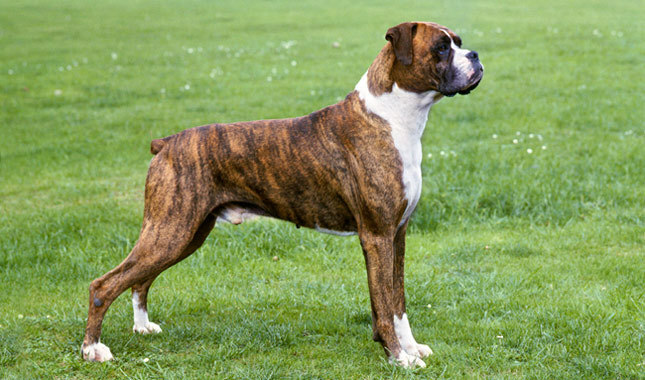 The name of the dog breed “boxer” came back in ancient times. However, its exact origin is still unknown. The breed dates back to the 19th century. The animal is obtained as a result of the crossing of a mastiff and a bulldog. But the modern look of boxers is a bit modified, it has become more logical and attractive. Breed in the form that is accustomed to contemplate in the modern world, was formed in 1896. Dogs are energetic, active and respond quickly to the world around them. These qualities of a predetermine their main purpose – the service dog. Initially, they guarded families and their property. But in the modern world, the function of a security guard “works perfectly” both in the field of police and as a bodyguard. Also, boxers are excellent guides for the blind. Despite their rather formidable appearance, they are intelligent, easily manageable, and become real faithful pets. To her belong with all the openness of the soul, but the strangers cause distrust and suspicion. The boxer easily learns the skills that he takes in the process of training. They calmly find a common language with all members of the family, and with other animals (including cats); perfectly adapted to life in country houses and apartments. But at the same time, it is necessary to take into account the need for daily walks, so that the animal can “splash out” energy and run enough. There is another feature: they do not tolerate cold and damp rooms, so you need to provide a four-legged friend with warmth and comfort. A boxer is the epitome of calm, confidence, fearlessness, loyalty and devotion to the owner. He is very clean, unpretentious, which determines another purpose – a companion and protector. Boxers faithfully follow their master, trying to be as close as possible to him. She loves to swim, play, run in the woods. Externally, the dogs of this breed are perfectly folded. They have strong bones, a wide body, a strong back, developed muscles, a wide muzzle and a very large head. But at the same time, the animal is “collected”, its movements are springy and light. The character is mobile, emotional. 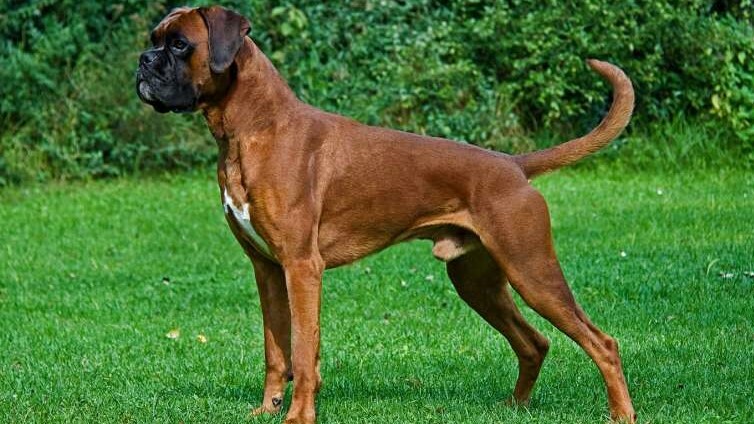 The traditional colour of the boxer is red. But there are other colours: ranging from dark to black. Growth in withers reaches 63 centimetres. American Pit Bull Terrier, known as the Pit Bull Terrier or simply Pit Bull, is one of two breeds derived from the Staffordshire Terrier. Pit bulls were originally bred for dog fighting. The hosts needed only victories, and therefore the most valued animals were strong, stubborn, hardy and aggressive. Hence the stories about the bloodthirstiness of these dogs. Pit Bull Terrier is a muscular, agile dog with powerful jaws and little pain sensitivity. The nature of this breed depends exclusively on the method of education. An inexperienced breeder gambling and tireless pitbull “podomnet” under him, and too aggressive will reciprocate. With a correctly chosen training tactic, these are obedient and peaceful dogs, from which excellent watchmen, bodyguards, companions and athletes are obtained. Every owner wants to see his dog healthy, active and cheerful. And, as you know, the basis of health is proper, complete and balanced nutrition. Even if you buy the freshest and highest-quality products, buy vitamins and mineral supplements, without a biochemical laboratory you cannot determine the exact nutritional value of the food you have prepared at home. In the behaviour of other animals, the American pit bull is very hazardous, sometimes aggressive. Proper education will help to avoid problems in the relationship with the dog of this breed. When properly educated, it is quite adequate and peaceful. The short smooth coat does not require special care. Occasionally, cleaning with a stiff brush and washing is recommended. To shine wool rubbed suede. It is well tolerated in the apartment, sensitive to drafts and cold. Boxers make for great guard as well as family dogs. Learn the history and grooming needs for the Boxer by visiting our website. Active and powerful dog: a pit bull terrier will be the perfect companion for long walks and sports. The breed of these dogs is one of the most amazing. She, like no other, has several varieties. A cross between a boxer and a pit bull also comes under several names. Consider the most popular of them. It is clear that, despite the similarities, each bulldog is different from its relative and has features that are unique to it. In addition, each dog goes its own way in shaping character and behaviour. Therefore, the degree of socialization and the level of behavioural factors play a primary role in the dog’s life. Crossbreeding breeds is a good idea to study the nature and physical characteristics of an individual species. Crossbreeding helps to study and make an assessment of the resulting offspring. Crossbreed can always count on the studied combination of signs that parents will pass on. • Boxers adapt well to the setting. The dog is affectionate, intelligent and playful. Boxers are very alert, so they make excellent watchdogs. 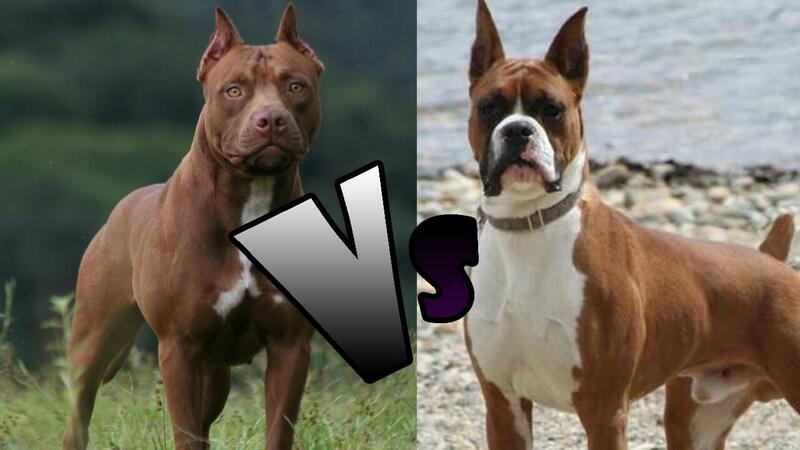 • Keep in mind that boxers are territorially aggressive. But in its essence, it is a sweet and good-natured animal that likes to fool around with its family or loved one. 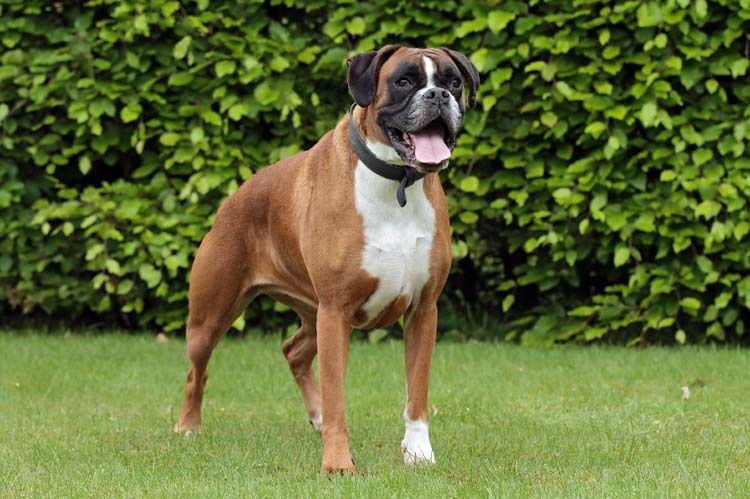 • Despite their strict appearance, boxers have earned a reputation as mischievous. The breed is considered good for the family, especially with children. • Boxers tend to be suspicious, but rarely show aggression towards strangers. The breed loves to exercise, and therefore the boxer needs daily exercise. • Pit bulls are strong, athletic and brave dogs. Physically stocky and can boast a high level of energy. • Pit bulls can be very faithful and have an innate desire to please their master. This feature is used by some breeders in a negative direction. They train their pit bulls to be aggressive towards strangers as well as other animals. • The breed is reputed to be a super-caring and whipping dog. Friendly attitude and communication make the pit bull good-natured towards other pets and outsiders of its owner. This greatly reduces the likelihood of aggression and unprovoked attacks. • Temperament breed ranks high in several tests. That is why she often falls prey to unethical breeding and training. Although not so long ago, the pit bull was considered the best “babysitter” dog for young children. True, loving and full of energy dog. Great watchman. Smart and initiative when it comes to entertainment with the owner. Therefore, her training and training sometimes pass by itself. The dog can be quite powerful and energetic, so be careful with it. During the game, she can easily roll the objects of a video camera or a small child. It is especially important to follow the dog when communicating with new people and animals. Since the irrepressible enthusiasm can go off-scale. Of course, a dog with a normal level of socialization learns to be patient and restrained with strangers and new animals. All breeds have a short glossy coat, which is simple and easy to care for. Dogs can have a big head and a short muzzle. The height at the withers can be from 50 to 70 cm. Tight physique. Weight can vary between 40 and 75 kg. In general, animals of these breeds are of good health. Physical activity is mandatory, otherwise, the pet will bother you and annoy you. Animals may be prone to hip dysplasia, heart disease and grass allergies. Breed long-liver. The average life expectancy is from 12 to 14 years. Husky Lab Mix: Why You Need to Know About This Breed? Why You Need to Know Everything About the Labrador Golden Retriever Mix? Why You Need To Know Everything About Corgi Husky Mix? How Much Do Pitbulls Cost?